How should we interpret Scripture? What are the principles we apply when we seek to understand the message of the Bible and apply it to our lives? We looked last week at how not to read, but how then are we to read? To a certain extent our answer to these questions is determined by our day and age, living in the 21st century. It is conditioned, among other things, by the way we are raised and educated. This later varies somewhat with location. We like to think that there is a unique and obvious approach, this isn’t really the case. As Christians, the only universal affirmation is that the scriptures reveal God and Christ, but there are multiple ways this could happen and different approaches have found favor over time. 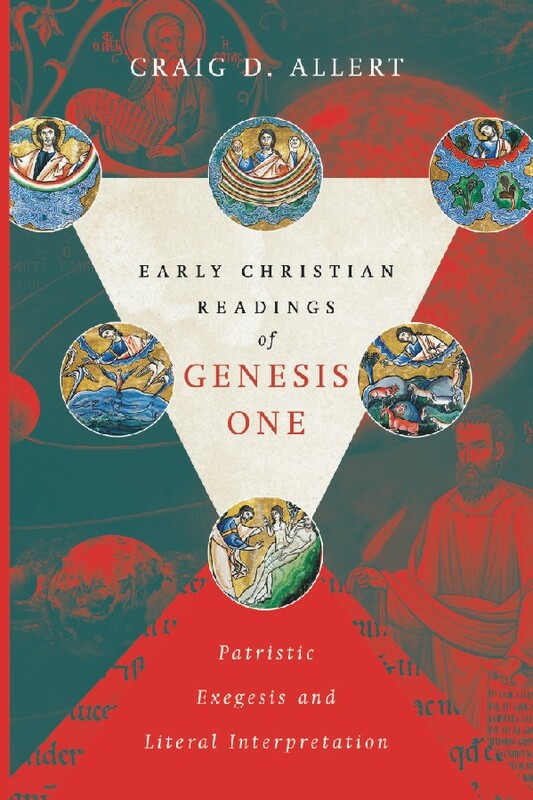 Chapter three of Craig Allert’s Early Christian Readings of Genesis One digs into this topic looking first at approaches to reading the Bible in our day and age and then at the approaches taken by the early church Fathers. Today we will look at modern interpretative methods. Although confessing Christians may have strong misgivings with the way historical criticism is applied in academic circles outside of the church many of the general principles are widely accepted (even if historical criticism is forcefully rejected). The most significant problem is with some of the assumptions and presuppositions that govern the approach. There is often an unwarranted rejection of elements of the text – particularly in the realm of the supernatural and the power and mission of God. Historical criticism cannot address important theological questions. 1. Carefully observe the text by considering the grammatical constructions and syntax. “Here the exegete is to look for the grammatical sense and meaning of the words.” The meaning is not hidden in some mysterious fashion but is conveyed by the words and sentences in the ordinary fashion. God wasn’t sending coded messages to hide the meaning from the uninitiated. 2. Understand the context. This includes the context of a particular passage within the book, the context of a book within the whole of Scripture, the historical context of the author and audience, and the context within the flow of history. 3. Scripture is clear. “Since God desired to communicate to us, we should expect that he wanted us to understand.” This is closely related to the first principle. The use of normal modes of communication and rules of grammar enables clear communication. 5. Classify the literary style or genre of each passage and book. History, poetry, and prophesy are three such classifications. This can be a sticky area – but an important one. 6. Consider the history of the church. While past interpretations are not inerrant – one should be wary of finding something new in the text that was never before seen. Many faithful Christians have spent long hours studying the bible. 7. Application is as important as interpretation. Bible study is not merely an intellectual activity, it is a life-changing activity. This is why it is important to get it right. To get it right we must understand and stick with the author’s original intent. While many of us will agree on these general principles – the way in which they are applied may vary significantly and they are not the end of the story. The principles above are shaped by our time and culture. They may be helpful guides – but they are not perfect guides. In the next post we will look at the principles that guided biblical interpretation in the early church. What are the principles that guide your interpretation of the Bible? Is the list of principles above a good guide? What are the strengths and weaknesses of this approach? You may also comment on How to Read? at Jesus Creed. This entry was posted in Bible and tagged Craig D. Allert. Bookmark the permalink.